We service all Trucks, Cars, Forklifts and industrial vehicles. 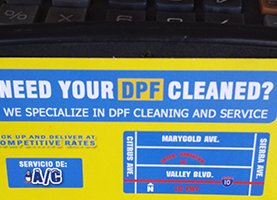 The professionals at International Radiator Services are experts at cleaning and servicing DPF filters. 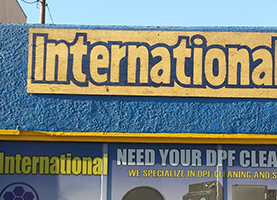 International Radiator Services is the premier auto radiator repair, auto AC services, and DPF filters expert serving Fontana, CA, and the Inland Empire. We provide comprehensive radiator and AC service for all trucks, cars, forklifts, and other industrial vehicles. Your car or truck depends on the radiator to keep things cool, and you can depend on us to make sure your radiator stays in perfect working order. We offer new radiator installation service, and also provide complete repair services, including radiator rebuilds and rod-out repair services. From heavy equipment radiators, to aluminum and other custom radiators, we are the auto radiator repair specialists you and your vehicle can rely on. To help you stay cool while inside your car, International Radiator Services provides a full range of auto AC services. From refrigerant recharges, to auto AC condenser replacement, we are your full service auto air conditioning service headquarters, offering excellent installation and repair work at affordable prices. In order to keep your diesel engine compliant with today’s pollution control standards, it is essential that you keep your DPF, or diesel particulate filter, clean. International Radiator Services is the expert in DPF filters. Our specialized DPF filter cleaning methods carefully restore your diesel particulate filter to like-new condition, allowing the engine to exhaust diesel fumes in a safe and efficient manner, and meet clean-air standards. Trust your car or truck’s auto radiator repair and auto AC services to the professionals at International Radiator Services. 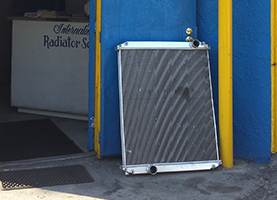 We are the reliable resource in Fontana, CA, for quality radiator and air conditioning service at competitive rates. Visit our location today!